Family: Parents are Jeff and Kate Hendrickson. Siblings are Brandon, Kelsi (Mayer), Trent and Brooks. Current Position & Company: Content Developer at Bader Rutter & Associates and herdsman at Jeffrey-Way Holsteins (family’s farm). Past Work Experience: Dairy Youth Programs Intern for Dairy Science and UW-Extension, Marketing Communications Intern at Accelerated Genetics and Marketing intern at Agri-Nutrition Consulting, Inc. I grew up on a 212-acre, 80-cow registered Holstein dairy farm with my parents, Jeff and Kate Hendrickson, and my siblings, Brandon, Kelsi, Trent and Brooks. Although I love all aspects of the farm, calf and heifer care has always been my specialty. 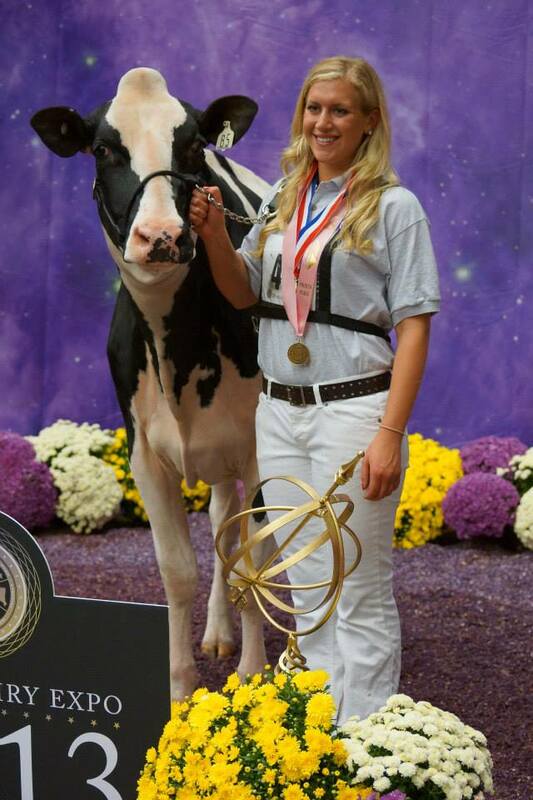 I also enjoy working closely with my family’s show cattle; through the years I have been very involved in attending various local, state and national shows, as well as involved in the Junior, and now Adult, Holstein Association. 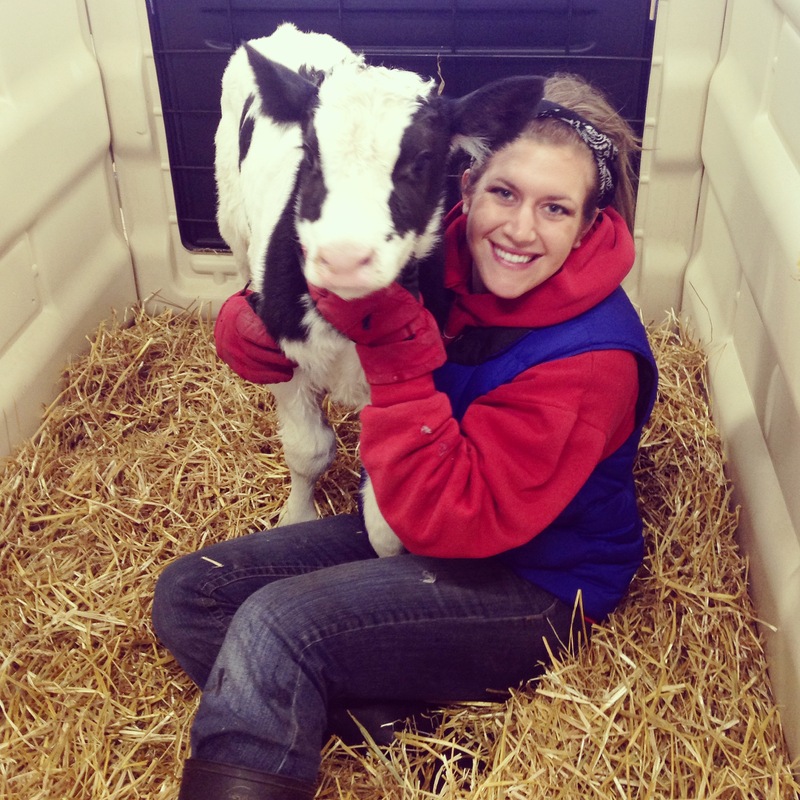 What made you want to be a dairy science major at UW? My passion for agriculture, specifically the dairy industry, was my calling. I loved science and cows, so it just made sense. Not only that, but dairy science at UW is known for its excellent courses and professors. I also have a degree life sciences communication, which has helped me to be successful at communicating the knowledge I gained as a dairy science major. I knew I couldn’t obtain a better education anywhere else other than UW. 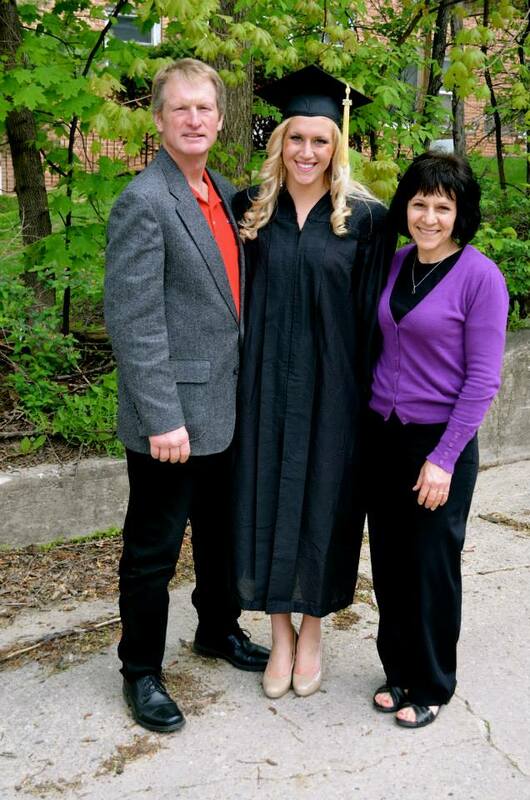 How has a degree in dairy science at UW been a benefit to you in the workplace? Both on the farm and at Bader Rutter I am constantly putting my dairy science degree to work. At Bader Rutter I help producers and veterinarians improve their dairy wellness. Dairy Wellness strives around a portfolio of solutions to help producers address their needs in categories such as: fresh cow performance, reproductive management, milk quality, calf and heifer wellness, disease prevention and business management. Without my dairy science degree I would not be able to help producers and veterinarians at the high level that I do in all of these categories. Also, my dairy science degree has helped me to better manage my herd and improve their well-being by understanding why we must carry out the practices that we do to keep animals healthy and productive. What clubs/activities were you involved with on campus? 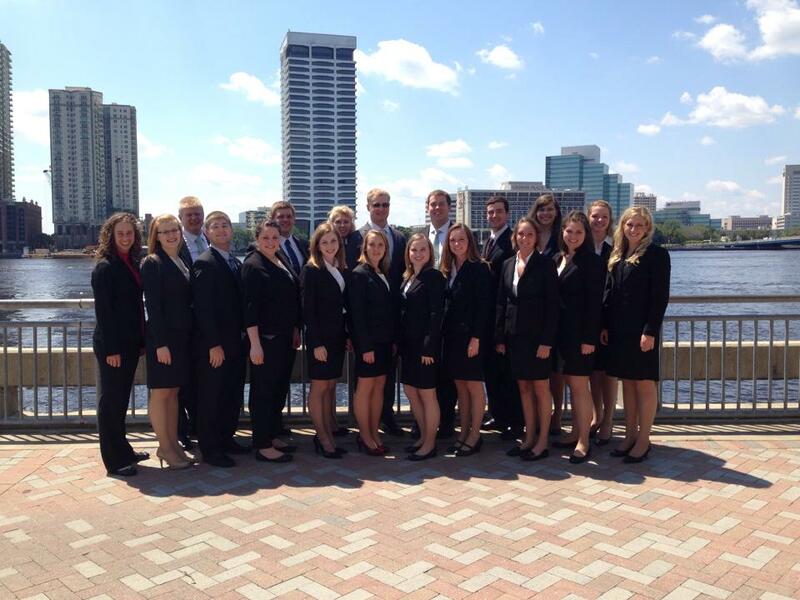 and National Agri-Marketing Association (NAMA), as well as the UW-Madison Dairy Judging team and NAMA Marketing team. Not only am I still very active on my family’s dairy farm, but I also work for Bader Rutter & Associates, an agriculture-focused marketing firm, developing content each day to help producers improve their dairy wellness. What within these clubs/activities have made a big difference in your life after college? Overall, the connections I have made and the people I have been able to learn from. What was one of your favorite dairy science courses, and do you have any specific memories from it that you would like to share? Dairy Science 305: Lactation Physiology taught by Laura Hernandez was my favorite class. I loved understanding the biological and molecular level as to how cows provide milk and ways to improve milk production in each individual cow. It was by no means an easy course, but because I loved this side of dairy science so much it made studying enjoyable! Right before the final it was announced that UW would be closed down the next day due to an incoming snow storm– I luckily was able to whip through the exam because I knew how to answer all the questions, then rush home for Christmas break! Was there anything else about your Wisconsin Experience that contributed to your professional or social development? Attending club events such as the Royal Winter Fair, ADSAs, joining the UW Dairy Judging team and NAMA marketing team, as well as being greatly involved at World Dairy Expo. Also, the wonderful internships I was able to have. If you could give advice to your college-aged-self, what would it be? There’s a ton of smart people at UW, don’t let yourself think you’re not one of them. I was very hard on myself for most of college because I couldn’t settle for less than the best. If I would have given myself more credit for my intelligence I probably wouldn’t have stressed so much! College really does teach you how to be mentally strong for yourself. Study hard, but play hard too. You can balance both. Find what you love to do and spend it with people who accept that part of you. Be involved outside of the classroom, but stay very connected to your studies. Everything that encompasses my experience at UW-Madison. I got involved outside of the classroom and exceled in the classroom. I’m glad I was able to find a balance and because of that I now have a wonderful career in the agriculture industry. What are your goals for the future still ahead of you? I could write a book on the details of my goals, but to put it simply, I want to continue to help producers and grow my own herd of Holstein dairy cattle, as well as raise my children with the tremendous lifestyle I had by being raised on a dairy farm. UW-Madison is the best – Go Badgers! This entry was posted in Blog and tagged Breinne Hendrickson, Jeffrey-Way Holsteins, UW Dairy Science, UW-Madison Alumni by tjhalbach. Bookmark the permalink.